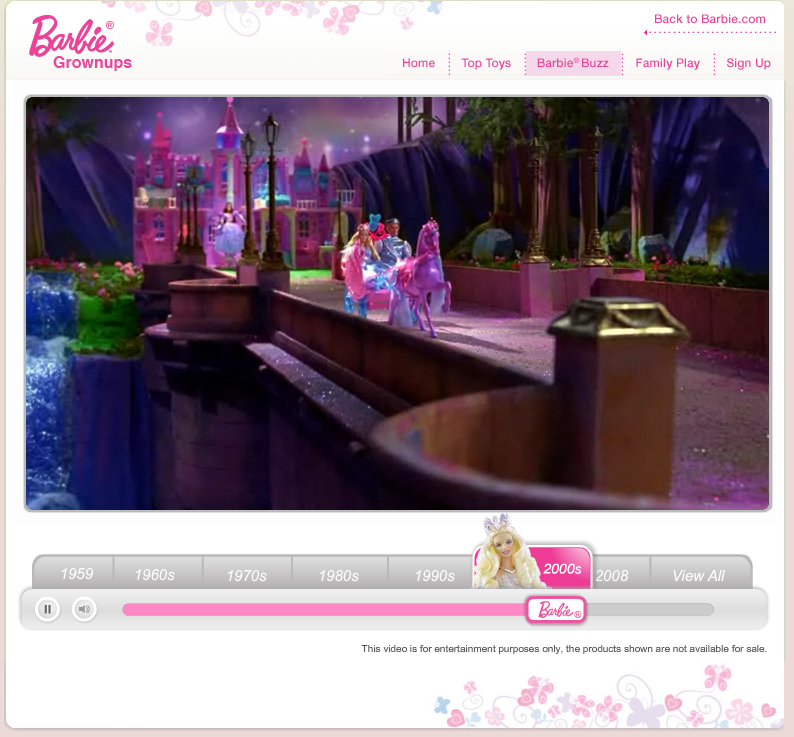 Barbie 50th Anniversary Digital Experience. I am proud to say that a 50-year old doll earned me more accolades and awards than any other project. 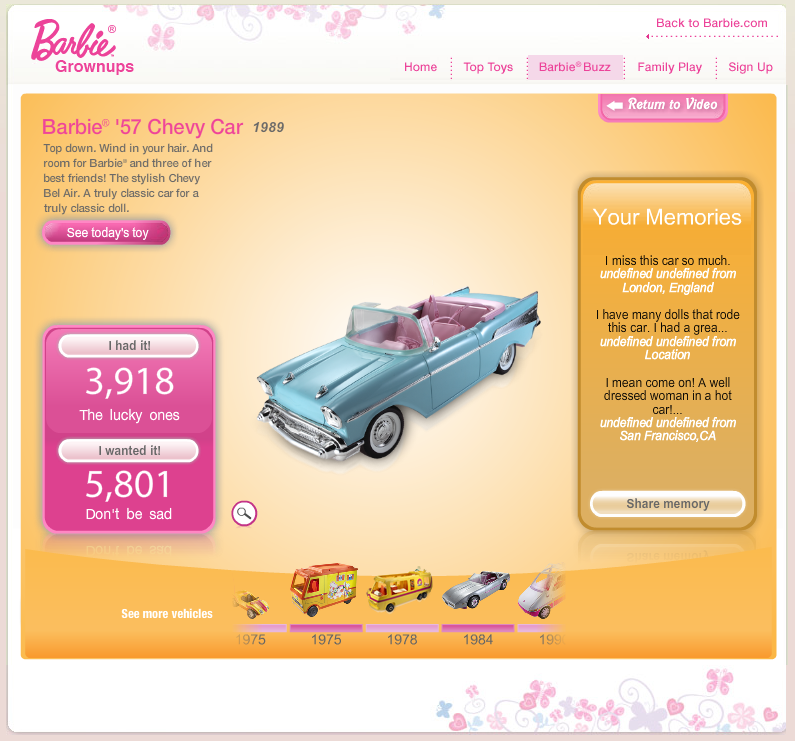 Her name is Barbie and for her 50th birthday, I created an interactive fly-through of her entire life. From 1959 to present day. The site was created so adults could relive their favorite moments and memories.. The below video walks you through the interactive experience. Behind The Scenes Video. Recreating history was an insane undertaking. 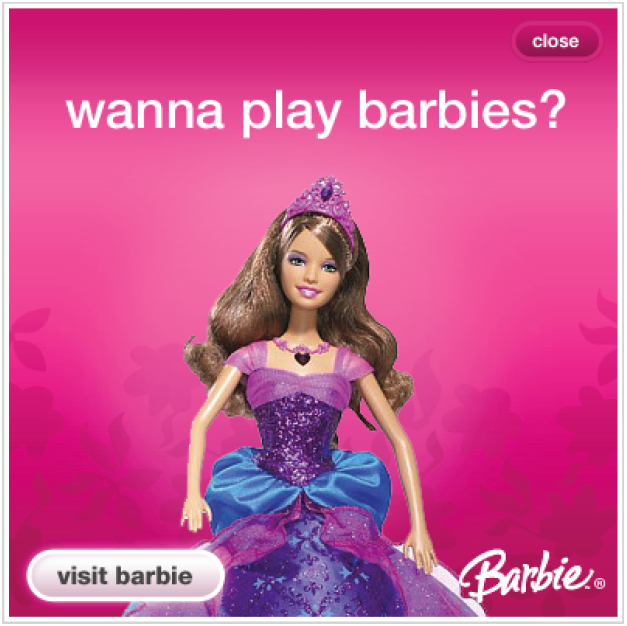 Display Ads. 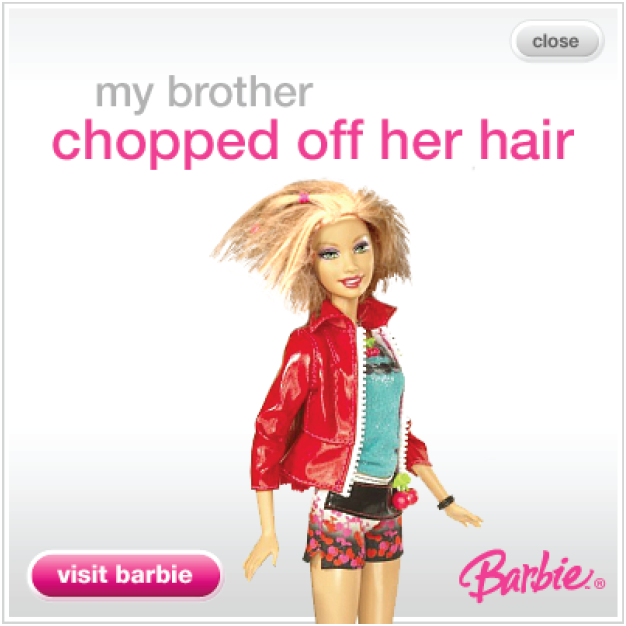 Adult targeted banners reminded Barbie lovers of the good, bad and ugly moments they shared with Barbie and her posse.